Broward Real Estate: Hollywood Waterfront Home Just Listed! 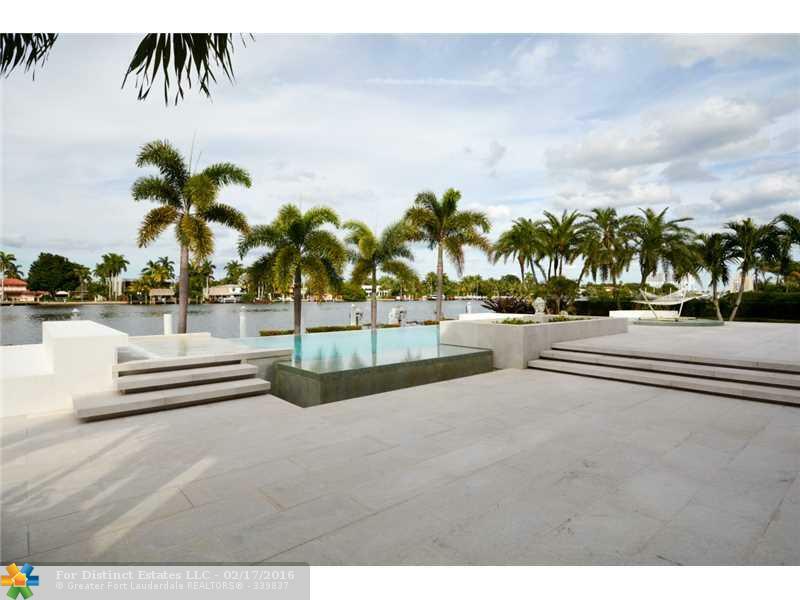 Tucked away in the sun soaked shores of Hollywood, Florida is this waterfront gem. This stunning six bedroom, six bathroom, and half bathroom house is palatially spread out over eight thousand square feet. This home has a contemporary style and luxurious features. The resort themed outdoor space can be viewed from almost every room in the home. The custom cabinetry, full suite of stainless steel appliances with a six burner gas range and hood exhaust, and sleek stone polished counter tops. There is a walk in climate controlled wine cellar to store all your favorite wines. The sparkling infinity edge swimming pool is surrounded by a huge entertainment area including a summer kitchen, a two story patio, and a hundred and twenty foot dock. 1112 South Northlake Drive is located in Hollywood and is currently asking $6,300,000.00. Residents of Hollywood are in close proximity of fine dining, shopping, and entertainment at nearby Los Olas Boulevard, Broward Center For Performing Arts and The Galleria Mall. The Fort Lauderdale International Airport and Miami International Airport are both close by. The pristine South Florida beaches can be reached from this location with in a few minutes drive.